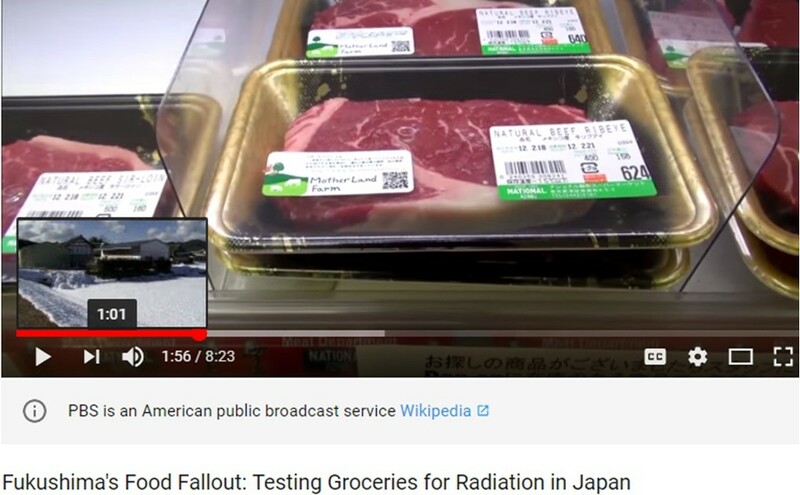 PBS NewsHour, Mar 13, 2012 – Promoting produce from Fukushima, a Tokyo store lists the cesium levels beside the price – just one way life has changed a year after an earthquake, tsunami and nuclear accident struck Japan. In the final report in his series, Miles O'Brien examines food-safety concerns and a cottage industry of testing groceries for radiation. Fukushima-Radiated Japanese Deadly Food Exports: Asia & U.S.
March 11 & 12, 2013, co-sponsored by The Helen Caldicott Foundation and Physicians for Social Responsibility. Every day the local government is measuring the radioactivity. All the television stations are saying that while radiation is rising, it is still not high enough to be a danger to health. They compare it to a stomach x-ray, or if it goes up, to a CT scan. What is the truth of the matter? For example, yesterday. Around Fukushima Daiichi Station they measured 400 millisieverts – that’s per hour. With this measurement (Chief Cabinet Secretary) Edano admitted for the first time that there was a danger to health, but he didn’t explain what this means. All of the information media are at fault here, I think. They are saying stupid things like, ‘Why, we are exposed to radiation all the time in our daily life, we get radiation from outer space'. But, that’s one millisievert per year. Do the math … you get 3,500,000 times the normal dose ...you call that safe? A year has 365 days, a day has 24 hours; multiply 365 by 24, and you get 8,760. Multiply the 400 millisieverts by that, you get 3,500,000 times the normal dose. You call that safe? And what media have reported this? None. They compare it to a CT scan, which is over in an instant; that has nothing to do with it. The reason radioactivity can be measured is that radioactive material is escaping. What is dangerous is when that material enters your body and irradiates you from inside. These industry-mouthpiece scholars come on TV and what do they say? They say, as you move away the radiation is reduced in inverse ratio to the square of the distance. I want to say the reverse, internal irradiation happens when radioactive material is ingested into the body. What happens? Say there is a nuclear particle one meter away from you. You breathe it in, it sticks inside your body; the distance between you and it is now at the micron level. One meter is 1000 millimeters. One micron is one thousandth of a millimeter. That’s a thousand times a thousand squared. That’s the real meaning of ‘inverse ratio of the square of the distance’. Radiation exposure is increased by a factor of a trillion. Inhaling even the tiniest particle, that’s the danger. So making comparisons with X-rays and CT scans has no meaning. Because you can breathe in radioactive material. What they measure has no connection with the amount of radioactive material in your body. When it enters your body, there’s no telling where it will go. Now, they’re talking about iodine and cesium, but that’s only part of it, they’re not using the proper detection instruments. What they call, monitoring, means only measuring the amount of radiation in the air. Their instruments don’t eat. What they measure has no connection with the amount of radioactive material in your body. Codenamed ‘H’ in WikiLeaks recovered emails (and according to Trump, as ‘Evergreen’ in NSA emails), Hillary’s former State Department ratted her out and leaked her shady deal. She figured Japanese food products too poisoned to eat in Japan would be fine for U.S. families to eat. 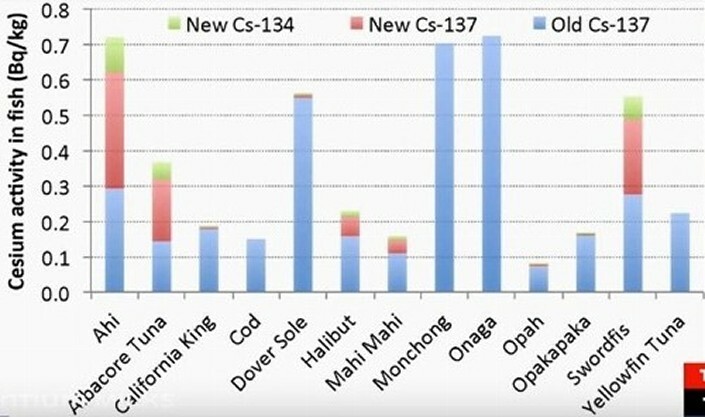 “The previous Administration came up with a decision at the highest levels of the State Department, and other departments to downplay Fukushima,” said Arnie Gundersen of Fairewinds.com in a SolarIMG interview. “The Clinton State Department source said Hillary Clinton signed a pact with her counterpart in Japan, agreeing for the United States to continue buying food from Japan, despite that food not being properly tested for radioactive materials,” he said. “So we are not sampling the food coming into the United States” …that other countries refuse to accept because it’s poison. FDA Import Alert 99-33 (always under revision), includes: beef, poultry, fish, clams, sea urchin, rice, grains, breakfast cereals, vegetables, milk, milk- and infant milk products, mushrooms, seaweed, spinach, lettuce, celery, cress, endive, escarole, chard, collards, leafy vegetables, turnips, broccoli, cauliflower, mushrooms, bamboo shoots and Kiwi fruit. Which, if eaten causes immune deficiencies, diseases, cancers, untold suffering and death …[like what U.S. sailors stationed offshore the Japan meltdowns on U.S.S. Ronald Reagan, experience, (see U.S.S. Ronald Reagan story, here)].